Darren Pratley was Swansea City's derby hero as he scored twice and set up another to help the Swans claim the bragging rights over rivals Cardiff in a pulsating Liberty Stadium showpiece. Nathan Dyer's header from Pratley's free kick broke the deadlock on seven minutes before Pratley himself added a second six minutes later with a volley. Cardiff drew level with goals in quick succession from striker Jay Bothroyd and an excellent Mark Hudson header at the far post. But superb Pratley ensured Swans extended their unbeaten run to 10 with a fine volley just before the hour as the hosts held on. It was the first time this season that the Swans had scored more than two goals in a league game. The loss of captain Garry Monk in the warm-up to a calf injury turned out to be a blessing in disguise as Fede Bessone, his replacement, set up both Pratley's goals for Swansea's first derby league win in 10 years. Swansea started strongly and had their first chance just three minutes in when Pratley's flick found Craig Beattie but the record signing could not beat David Marshall in the Cardiff goal. It did not matter as the home side were ahead seven minutes later when Pratley's free-kick from by the corner flag was flicked on by Ashley Williams and Dyer was unchallenged to head into an empty net with Marshall nowhere. It is the second time the former Southampton winger has scored against Cardiff since joining the Swans last season. And the Swans doubled their lead six minutes later as Bessone crossed from the left and Beattie appeared to be bundled over in the box but it mattered little as Pratley pounced on the loose ball to fire home. It was no less than the Swans deserved after taking the game to Cardiff with Pratley and Dyer looking particularly lively down the right. The lead took the sting out of the game and Cardiff tried to get themselves back into it with Ross McCormack, back for his first start in almost three months for suspended top-scorer Michael Chopra, lifting the ball over the bar from the edge of the box. Swansea continued to threaten and Pratley was at the centre of the action and it was his ball that found Welsh midfielder Joe Allen on the edge of the box, but this time Marshall parried to safety. 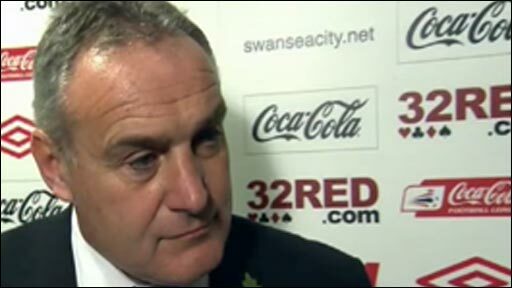 Cardiff showed great character, though, as Dave Jones' men turned the game on its head in the space of 138 seconds. Bothroyd reduced the deficit on 32 minutes with their first real chance when he beat the offside trap to superbly chest down Chris Burke's ball over the top and coolly fire past Dorus de Vries in bottom left-hand corner. And within two-and-a-half minutes of Bothroyd's third goal in as many games, Cardiff were level. McCormack's free-kick from the right was met at the far post by captain Mark Hudson who squeezed the ball home with a header from the narrowest of angles to score his first goal since his summer move to Cardiff. The second half was understandably less lively, although Allen felt Swansea should have had a penalty when he tangled with Joe Ledley at the near post. Just before the hour, the Bluebirds came close to taking the lead for the first time when McCormack sent a curling 25-yard free-kick crashing against the bar. And within a minute, the visitors were behind when Bessone's left-hand cross at the other end found Pratley at the near post to volley home his second of the game and put the Swans back in front. Pratley had not scored for 26 games since last season's corresponding fixture at the Liberty Stadium but he certainly proved Swansea's hero on the hour to seal the win. Cardiff were unbeaten in their last six games and tried to find a way back into it. They piled on late pressure, but the Swans held firm to claim a vital win as Dave Jones suffered the dreaded manager of the month curse. And Swans manager Paulo Sousa - who he defeated to win the managerial gong - celebrated, for the time being at least, moving his side into the Championship play-offs place. "When we made mistakes, they punished us. But we started the second-half well and put our identity on the game and controlled the rhythm with a lot of possession and personality - and our creativity was dynamic. "When we took the lead, we started to control the game. It was difficult because they are a strong side especially with their long balls and set plays - but we are becoming mentally stronger, more focused and in the end we deserved this nice win. "Darren Pratley played well and is coming close to his best with a lot of resource - he is an outstanding player. "It means a lot to all of us and is not just special for us but the fans and the city, there is a lot of happiness here. "We can be proud with ourselves, fans can go to work with more energy and to help the city to grow. The win reinforces our convictions and confidence and tells us once more that we're in a good way." "I'm disappointed to lose but I'm no more disappointed because it is a derby game, it's just the bragging rights go to them. "But we must pick ourselves up, get going again and not worry about this game because we're okay and a decent side it is today we haven't played as well as we could have. "It was an awful start for us and we didn't get close to their players, maybe nerves got to one or two of the players. It was a great fight back but we didn't kick on. We had a lot of possession and hit the bar but the three goals we gave away were dreadful. "We never had any creativity about us and couldn't get any tempo going but full credit to Swansea who have the points and now we must wait until the return match to get this one out of our system. "Any time you lose you let the fans down but we have to put up with it today and the season doesn't end with two derby matches so we have to fight back in our next game." 90:00+4:44 The referee ends the match. 90:00+4:10 Alan Tate restarts play with the free kick. 90:00+4:10 Booking Anthony Gerrard is given a yellow card. 90:00+4:03 Free kick awarded for a foul by Anthony Gerrard on Gorka Pintado. 90:00+1:15 Chris Burke takes a shot. Blocked by Ashley Williams. 88:53 Adam Matthews crosses the ball, save made by Dorus De Vries. 87:31 Thomas Butler concedes a free kick for a foul on Joe Ledley. Mark Kennedy restarts play with the free kick. 86:32 Cedric Van der Gun produces a right-footed shot from inside the area that clears the bar. 81:51 Alan Tate takes the free kick. 81:51 Substitution Nathan Dyer leaves the field to be replaced by Thomas Butler. 81:51 Solomon Taiwo is penalised for handball and concedes a free kick. 76:12 Free kick crossed by Ross McCormack, save made by Dorus De Vries. 76:12 Substitution Joe Allen goes off and Andrea Orlandi comes on. 76:12 Cedric Van der Gun gives away a free kick for an unfair challenge on Chris Burke. 75:19 Ross McCormack takes a shot. Blocked by Alan Tate. 69:03 Ross McCormack crosses the ball in from the free kick, save made by Dorus De Vries. 69:03 Booking Booking for Nathan Dyer for unsporting behaviour. 68:56 Nathan Dyer concedes a free kick for a foul on Joe Ledley. 68:16 Substitution Solomon Taiwo joins the action as a substitute, replacing Tony Capaldi. 65:42 Substitution Craig Beattie goes off and Gorka Pintado comes on. 60:26 Assist by Federico Bessone. 60:26 GOAL - Darren Pratley:Swansea 3 - 2 Cardiff Darren Pratley finds the net with a goal from close in to the bottom left corner of the goal. Swansea 3-2 Cardiff. 59:45 Ross McCormack takes a shot. Blocked by Alan Tate. 59:19 Nathan Dyer handles the ball and concedes a free kick. Direct free kick taken by Anthony Gerrard. 57:25 Booking Leon Britton receives a caution. 57:13 Leon Britton concedes a free kick for a foul on Adam Matthews. 56:41 Free kick awarded for a foul by Jay Bothroyd on Angel Rangel. Direct free kick taken by Alan Tate. 55:37 Corner taken by Darren Pratley from the right by-line, Effort on goal by Craig Beattie from just inside the penalty area goes harmlessly over the target. 50:33 Unfair challenge on Mark Kennedy by Nathan Dyer results in a free kick. Direct free kick taken by David Marshall. 47:27 Chris Burke takes a shot. Leon Britton gets a block in. 46:46 Joe Ledley fouled by Alan Tate, the ref awards a free kick. Free kick crossed by Gavin Rae, Federico Bessone makes a clearance. 45:00+3:00 The first half comes to an end. 45:00+2:39 Outswinging corner taken by Darren Pratley, clearance made by Jay Bothroyd. 45:00+0:30 Corner taken by Darren Pratley, Alan Tate takes a shot. Save by David Marshall. 45:00+0:19 The ball is crossed by Darren Pratley, save made by David Marshall. 44:54 Tony Capaldi challenges Angel Rangel unfairly and gives away a free kick. Free kick taken by Angel Rangel. 43:54 Alan Tate fouled by Ross McCormack, the ref awards a free kick. Alan Tate restarts play with the free kick. 41:53 Jay Bothroyd has an effort at goal from just inside the box that misses to the right of the goal. 41:17 The assistant referee signals for offside against Jay Bothroyd. Indirect free kick taken by Dorus De Vries. 40:56 Gavin Rae takes a shot. 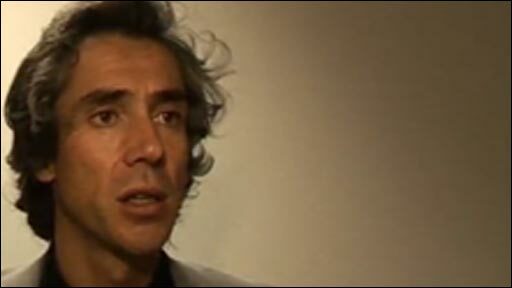 Blocked by Federico Bessone. 39:47 Foul by Joe Allen on Joe Ledley, free kick awarded. The free kick is delivered left-footed by Mark Kennedy from left channel, clearance by Ashley Williams. 39:36 Chris Burke produces a cross. 38:25 Mark Kennedy has a shot on goal from outside the area which misses left. 37:23 Free kick awarded for an unfair challenge on Jay Bothroyd by Ashley Williams. David Marshall takes the direct free kick. 36:00 Free kick awarded for a foul by Ross McCormack on Angel Rangel. Angel Rangel takes the direct free kick. 35:49 Federico Bessone takes a shot. Blocked by Anthony Gerrard. 35:04 Free kick awarded for a foul by Adam Matthews on Cedric Van der Gun. Free kick crossed right-footed by Darren Pratley from left channel, clearance by Jay Bothroyd. 34:02 Assist on the goal came from Ross McCormack. 34:02 GOAL - Mark Hudson:Swansea 2 - 2 Cardiff Mark Hudson grabs a headed goal from close range. Swansea 2-2 Cardiff. 31:41 The assist for the goal came from Adam Matthews. 31:41 GOAL - Jay Bothroyd:Swansea 2 - 1 Cardiff Jay Bothroyd finds the net with a goal from close range to the bottom right corner of the goal. Swansea 2-1 Cardiff. 29:23 Unfair challenge on Chris Burke by Darren Pratley results in a free kick. Adam Matthews takes the free kick. 28:07 Corner taken right-footed by Darren Pratley, Anthony Gerrard manages to make a clearance. 27:48 Joe Allen takes a shot. David Marshall makes a save. 27:04 Foul by Joe Ledley on Leon Britton, free kick awarded. Alan Tate restarts play with the free kick. 26:29 Foul by Nathan Dyer on Tony Capaldi, free kick awarded. Mark Kennedy takes the free kick. 23:48 Ross McCormack takes a shot from just inside the penalty box which clears the crossbar. 22:44 Headed effort from inside the area by Jay Bothroyd misses to the left of the goal. 22:15 Unfair challenge on Chris Burke by Federico Bessone results in a free kick. Adam Matthews takes the direct free kick. 19:59 Handball by Nathan Dyer. David Marshall takes the direct free kick. 16:25 Free kick awarded for an unfair challenge on Mark Hudson by Craig Beattie. Adam Matthews restarts play with the free kick. 15:16 Assist by Craig Beattie. 15:16 GOAL - Darren Pratley:Swansea 2 - 0 Cardiff Darren Pratley scores a goal from inside the penalty box to the bottom right corner of the goal. Swansea 2-0 Cardiff. 13:25 Outswinging corner taken right-footed by Ross McCormack from the right by-line, clearance by Darren Pratley. 13:00 Corner taken right-footed by Ross McCormack, clearance by Joe Allen. 12:55 Jay Bothroyd delivers the ball, blocked by Alan Tate. 11:14 Inswinging corner taken right-footed by Darren Pratley played to the near post. 10:31 Inswinging corner taken right-footed by Darren Pratley played to the near post, clearance by Jay Bothroyd. 8:59 The assist for the goal came from Ashley Williams. 8:59 GOAL - Nathan Dyer:Swansea 1 - 0 Cardiff Nathan Dyer finds the net with a headed goal from close in. Swansea 1-0 Cardiff. 7:23 Corner taken by Darren Pratley. 6:23 Free kick awarded for a foul by Anthony Gerrard on Darren Pratley. Darren Pratley delivers the ball from the free kick right-footed from right wing, Gavin Rae makes a clearance. 5:13 Darren Pratley fouled by Jay Bothroyd, the ref awards a free kick. Alan Tate restarts play with the free kick. 4:55 Foul by Alan Tate on Jay Bothroyd, free kick awarded. Direct free kick taken by Mark Kennedy. 4:25 Alan Tate takes a shot. David Marshall makes a save. 2:37 Craig Beattie takes a shot. Save made by David Marshall.